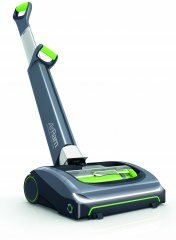 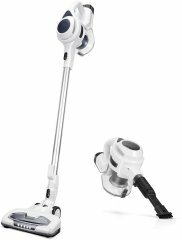 Our list puts at work our powerful review crawler to look for the best cordless stick vacuum (most of which include a rechargeable combo handheld vac as well). 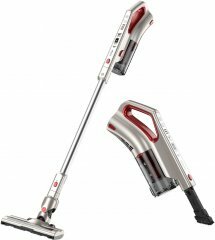 For a cheaper alternative, check out our list of The Best Regular Stick Vacuums. 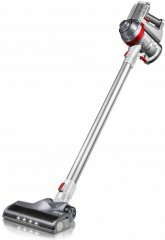 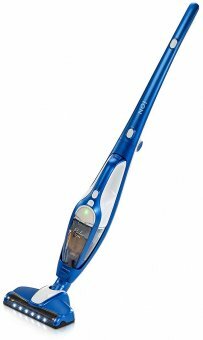 Given its compound ranking of 96%, we determined that the MOOSOO M XL-618B is, as of now, Alphachooser's best cordless stick vacuum 2019. 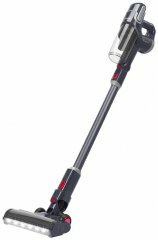 We also believe that our 63 reviews sampled from our sources give us a high confidence level (more on confidence levels) that allows us to call it a "no-brainer best choice." 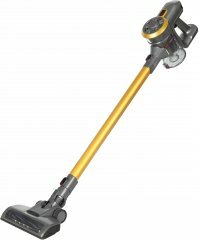 With its star rating of 4.5 averaged from 56 reviews, here is second best cordless stick vacuum. 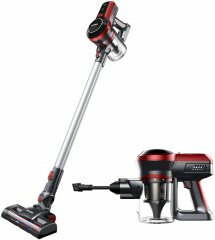 * Btw, our choices are based on an in-depth analysis of hundreds of cordless stick vacuum reviews from across the web.